The Pilgrim nuclear power plant at Plymouth. 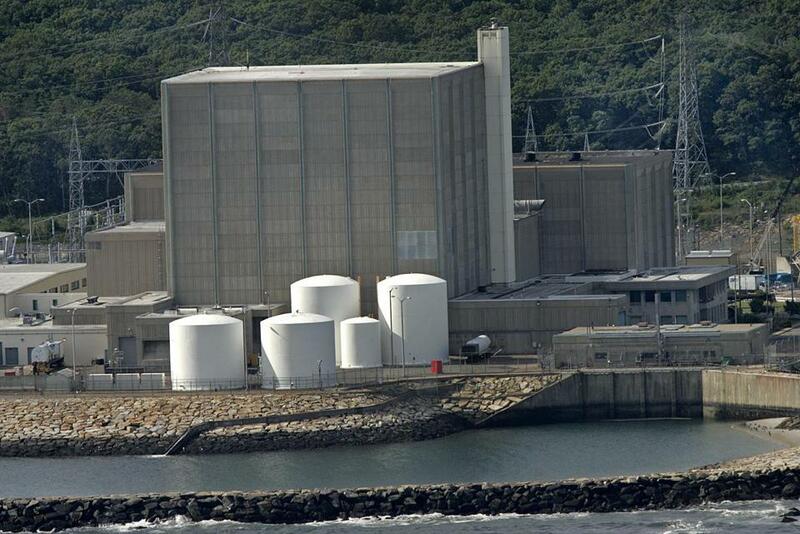 The federal Nuclear Regulatory Commission announced Wednesday that it had downgraded the Pilgrim Nuclear Power Station’s safety rating after repeated unplanned shutdowns at the Plymouth facility and recurring problems with the plant’s safety relief valves. The plant is now one of just three nuclear power reactors nationwide ranked in the next-to-lowest performance category, officials said. There are no plants in the lowest category. “They are one step removed from the column where they would be at risk of being shut down by the NRC,” said NRC spokesman Neil Sheehan. Pilgrim will now be subject to more stringent oversight by regulators, who will conduct an inspection to determine what problems — equipment failures, procedural trouble, or human error — led to the shutdowns in 2013 and 2015. Attorney General Maura Healey called the downgrade “disturbing” and said her primary concern is for the safety and well-being of the people living near the plant, which is owned and operated by Entergy Corp.
“Entergy must act swiftly and decisively to correct these issues and restore the public’s trust in its ability to safely operate this plant,” she said in a statement. The 680-megawatt Pilgrim plant opened in 1972. In 2012, its operating license was extended to 2032. Regulators will increase the frequency of inspections at Pilgrim, and Entergy will be required to present its performance improvement plan to regulators at a public meeting. “Over the coming days Entergy will review the details of the NRC’s decision to consider what actions we need to take to enable Pilgrim Station to return to normal NRC oversight,” Bill Mohl, president of Entergy Wholesale Commodities, said in a statement. Mohl said that the plant has previously addressed the safety relief valve issue and the plant is operating safely. The plant has four safety relief valves, Sheehan said, which alleviate pressure and facilitate the cooling of the reactor. If the reactor cannot be sufficiently cooled, the fuel can begin to melt, which can lead to a radiation leak, though Pilgrim has many redundant systems that would kick in if a valve stopped working, said a spokeswoman. “There are backups to backups,” said Pilgrim spokeswoman Lauren Burmin an e-mail. All US nuclear power plants are equipped with containment structures to help prevent the release of radioactive material to the environment in the event of an accident, said Sheehan. In February 2013, said Sheehan, one of the valves at Pilgrim failed to open during a cooldown, though the station was not cited at the time. The plant’s safety rating was downgraded in 2014 after a series of unplanned shutdowns in late 2013. The problem with the safety valves should have been fully addressed in 2013, said Sheehan, but on Jan. 27 of this year, during a shutdown amid a major snowstorm, another safety relief valve failed to open. Burm said in an e-mail that the company recognizes the need to strengthen its corrective action program. “We work hard every day to find and fix problems in a timely manner,” said Burm. Governor Charlie Baker, who recently toured Pilgrim, said Wednesday that he was confident in the plant. The downgrade drew calls for the NRC to continue its aggressive oversight of the plant until Entergy can prove that it has dedicated the proper resources and training to the safe operation of the plant. Markey said that Entergy should be required to pay for the distribution of potassium iodide, an anti-radiation drug that can prevent thyroid cancer caused by radiation released during a reactor meltdown, to any Massachusetts community that requests it. Mary Lampert, director of Pilgrim Watch, a group that has long sought to close the plant, said trouble has been brewing at Pilgrim for years. Lampert, who can see Pilgrim from her home in Duxbury, said she feared an accident at the plant.